It could be an afternoon spent cleaning up a portion of a community – or a week feeding the homeless in a poverty-stricken segment of a city. Often, the service has a beginning point and an ending point that signifies a return to normal activities in one’s life. For a select few, however, community service is completed over a lifetime. Providing unselfishly for others is simply woven into certain individuals’ DNA. Service to others is woven into Mike Maslar’s DNA. 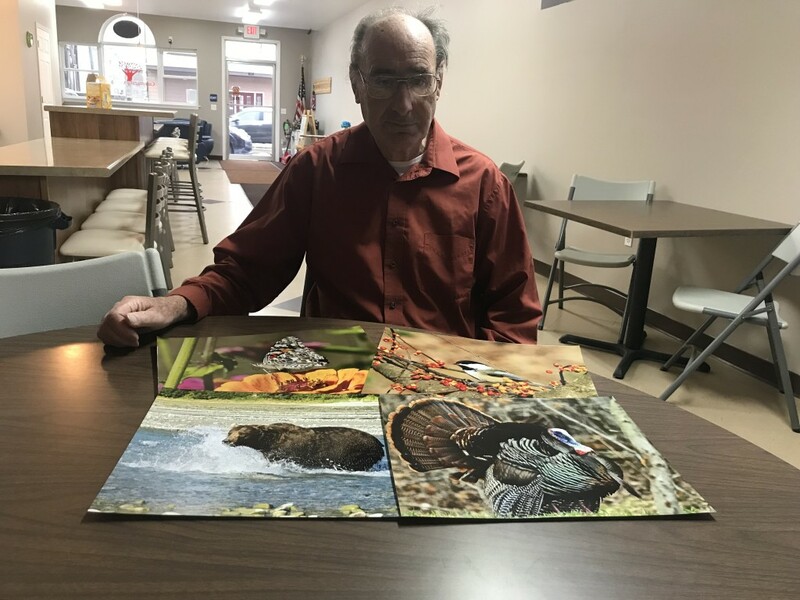 Maslar, a public education teacher for nearly 40 years, has used photography as a way to continue to serve students at Redbank Valley School District despite retiring from the school district in 2009. 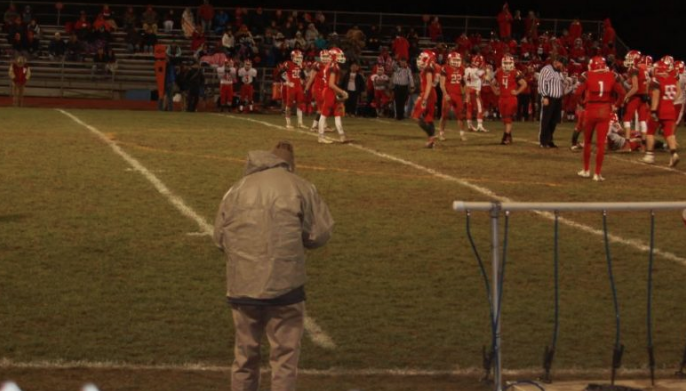 While Mr. Maslar may use his camera as his instrument, he himself has undoubtedly been the instrument of impact for student-athletes who have passed throughout Redbank Valley. Maslar can be seen at nearly every Bulldog sporting event, capturing memories for all those who take part in extra-curricular activities within the district. It’s a passion, hobby, and commitment to the community that can be traced back to the beginning of Maslar’s career. Born in Morenci, Arizona, Maslar moved to Summerville at the age of nine and went on to graduate from Brookville Area High School in 1967. From there, Maslar completed his Bachelor’s work at Muskingum University in Zanesville, Ohio, and his Master’s work at Clarion University before accepting his first teaching job in Pique, Ohio. In 1983, he returned home to Summerville after accepting a job teaching seventh-grade science at Redbank Valley School District in 1983. Maslar also served as a cross country and track and field coach during his 27 years of service at Redbank Valley. While you no longer see Maslar in the classrooms at Redbank Valley, his presence is still felt in a profound way. Today, if you are looking for Mr. Maslar, you will find him at virtually every Redbank Valley sporting event with his camera in hand as he serves as the unofficial photographer for Redbank Valley athletics. Maslar’s hobby of photographing student-athletes was actually born out of the lack of teaching materials he had as a young teacher. He explained that he did not have the same resources that teachers have today such as Google and YouTube. Due to that fact, Maslar turned to photography to create his own classroom resources. While gathering resources marked the beginning of his photography hobby, it would be his work at athletic events that would really cement his legacy within the community. While many may consider his work as a photographer at these extra-curricular activities as going above and beyond the call of duty, Maslar actually argues that it is something that he considered to be within the realms of his job description. While Maslar does not have a classroom to display the photos in anymore, he does have a display case outside of the cafeteria that is specifically reserved for his pictures. Maslar comes into the school once a week to display new pictures in the case, all of which he prints at his own cost. When it is time for the prior week’s pictures to come down, he gives them to the coaches to distribute to the kids. At any given time of the day, it is a rarity not to see students gathered around Maslar’s display case enjoying his work. 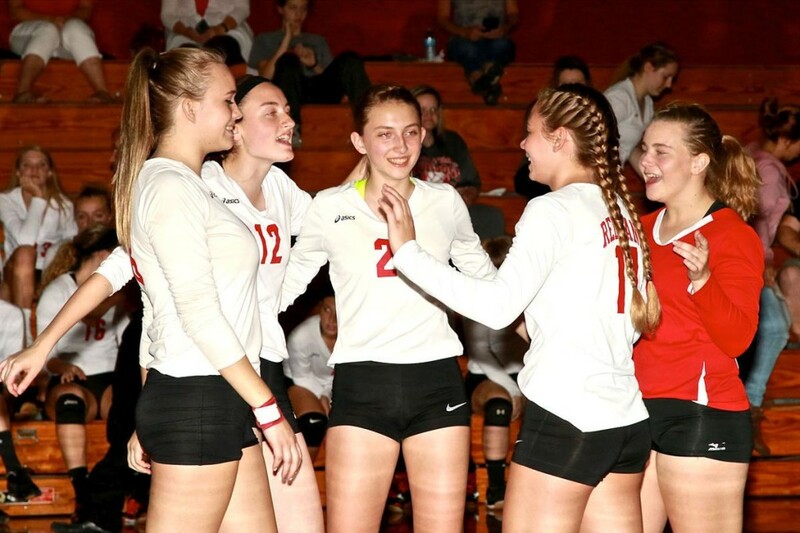 In addition to giving players hard copies of their photos, at the end of each athletic season, Maslar delivers to each senior a CD-ROM of all of the pictures he took of that particular athlete on the disk. A keepsake of captured memories that the athlete is able to keep forever. Again, this is done at no charge to the students. 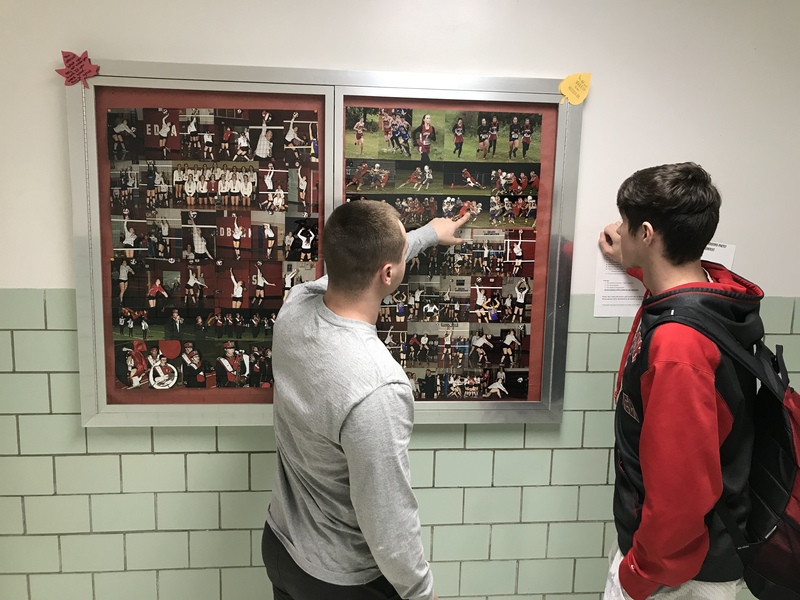 Seniors Blaney Brooks and Keaton Kahle check out Maslar’s pictures from their playoff game. “It’s part of my community service. Since I am retired, I don’t really do a lot for the community but this is one area in which I can contribute,” said Maslar. Maslar may think that he does not do a lot for the community, but a quick survey of people living within Redbank Valley School District will quickly reveal how much this man equipped with a camera truly does accomplish. Sue Trimble serves as one of the high school secretaries. It is a position that she held while Maslar taught at the district, and it is evident from her words that Maslar’s contributions have not gone unnoticed. In fact, the class of 2018 so strongly admired Maslar for the contributions that he made to the district that they voted to dedicate the yearbook to him. While yearbook dedications are typically reserved for teachers within the district, the class of 2018 shook it up a bit by bestowing the honor upon Maslar. “Mr. Maslar has done a lot for our school district over the years, and I felt as though he does not get enough credit for what he does,” explained Class of 2018 president, Kylee Miller. Maslar was not hesitant in admitting that last year’s yearbook dedication meant more to him than the students may ever know. Maslar traveled nearly 300 miles this past football season. He did not miss a single away game despite the Bulldogs away schedule consisting of games at Smethport, Sheffield, and Curwensville. He will follow the same type of schedule for the extremely busy winter sports season. While the impact is evident within the community, Maslar also is quick to point out that the regular attendance at all of the sporting events also allows him to perfect his craft. For Maslar, there is certainly a sport that he enjoys working his craft at the most. Maslar captures a moment during one of Redbank Valley’s home volleyball games this past season. In between the countless sporting events he attends, Maslar also enjoys traveling the country continuing to capture the wildlife images that he began photographing as a young teacher in the 1970s. 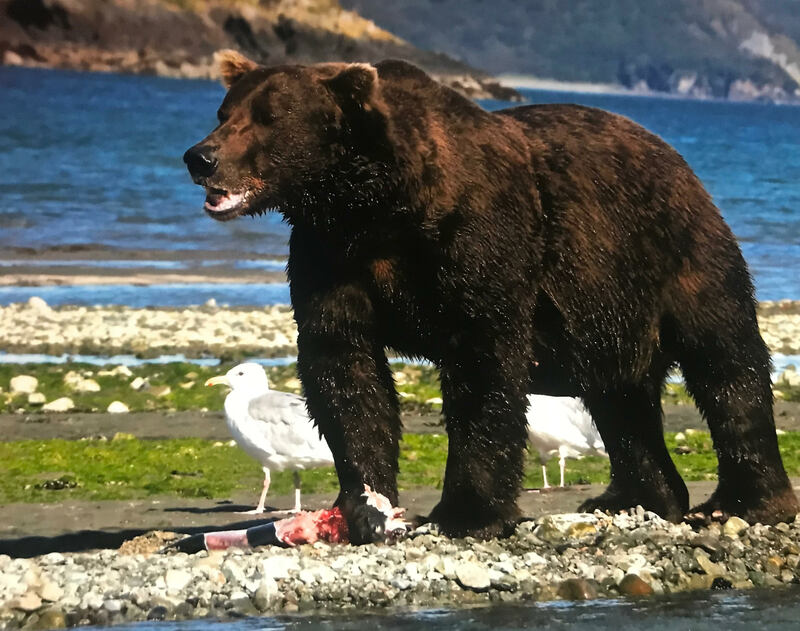 This past fall he traveled to Alaska to capture images of bears feasting on salmon. While he explains that he is always on the hunt for the perfect image in the wild, it’s the kids that truly make his hobby special. One of the images captured by Maslar this past fall in Alaska. Adam Barrett is one of the parents that fit that role today. A former student of Maslar and the father to former Bulldog All-State defensive back Brock Barrett and current freshman, Kolby Barrett, Adam stresses that Masler’s contributions to the community are irreplaceable. EYT Media Sports Editor Chris Rossetti said that Maslar is willing to share his work with anyone.